In order to thoroughly implement the Central Rural Work Conference, the "Opinions of the CPC Central Committee and the State Council on Implementing the Rural Revitalization Strategy" and the "Village Revitalization Strategic Plan (2018-2022)", effectively improve the efficiency and level of financial services for rural revitalization, the People's Bank of China, The China Insurance Regulatory Commission, the China Securities Regulatory Commission, the Ministry of Finance, and the Ministry of Agriculture and Rural Affairs jointly issued the "Guiding Opinions on Rural Service Revitalization of Financial Services" (hereinafter referred to as "Guiding Opinions"). The "Guidance Opinion" emphasizes that, guided by Xi Jinping's new era of socialism with Chinese characteristics, it should closely focus on the overall deployment of the 19th National Congress on the implementation of the rural revitalization strategy, adhere to the market-oriented operation, and take institutional reform as the driving force. Guided by policy support and risk prevention and control as the bottom line, focus on key areas, deepen reform and innovation, establish a market system, organizational system and product system for improving financial services and rural areas, and promote the return of rural financial resources. The "Guidance Opinions" benchmarked the three phases of the rural revitalization strategy and clarified the objectives of financial service rural revitalization in the corresponding phase. In the short term, we will highlight the scientific and feasibility of the target. By 2020, we must ensure that financial precision and poverty alleviation continue to increase, financial support for agriculture continues to increase, rural financial services continue to improve, and agricultural financial institutions have a clear corporate governance and ability to support agriculture. Upgrade. In the medium and long term, the planning and orientation of the target will be highlighted, and the establishment of a modern rural financial system with multiple levels, wide coverage, sustainable, moderate competition, orderly innovation and risk control will eventually realize the rational and orderly allocation of urban and rural financial resources and urban and rural areas. Equalization of financial services. The Guiding Opinions pointed out that it is necessary to adhere to the correct direction of rural financial reform and development, improve the financial service organization system suitable for rural revitalization and development, actively guide the agriculture-related financial institutions to return to their origins, clarify key support areas, and effectively increase the focus of financial resources to rural revitalization. The intensity of the field and weak links, increase the rural financial supply;PledgeInside the financial institutionCreditManagement mechanism, application and promotion of new technologies, green finance of “agriculture, rural areas and farmers”, etc., strengthen innovation in financial products and service methods, better meet the diversified financing needs of rural revitalization; give full play to the functions of financial markets such as equity, bonds, futures, insurance, etc. 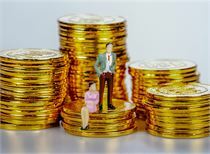 Multi-channel capital supply system, broaden the sources of rural revitalization financing; strengthen financial infrastructure construction, create a good rural financial ecological environment, enhance the financial resources carrying capacity of rural areas and the sense of financial services for rural residents. In order to ensure the effective implementation of various policy measures, the "Guidance Opinion" proposes to improvecurrencyPolicy, financial support, differentiated supervision and other policy guarantee systems to enhance the enthusiasm and sustainability of financial institutions to serve rural revitalization. Financial institutions must also earnestly strengthen organizational leadership and do a good job of implementation. At the same time, carry out financial institutions to serve rural revitalization assessment, evaluate financial institutions from two aspects: qualitative indicators and quantitative indicators, regularly report the results of evaluation, strengthen incentives and constraints on financial institutions, and effectively improve the effectiveness of policy implementation. In the next step, all relevant departments will work hard to promote the financial services and rural areas in accordance with the division of responsibilities. In accordance with the requirements of the Guiding Opinions, all agricultural-related financial institutions should increase their support for the rural revitalization field and better meet the diversified and multi-level financial needs of rural revitalization. Financial precision and poverty alleviation are constantly increasing. Before 2020, the focus of rural revitalization is to get rid of poverty. Agro-banking financial institutions should give priority to meeting the demand for precision poverty alleviation credit in poverty-stricken areas. New financial resources should be tilted to deep poverty-stricken areas. The growth rate of loans in deep poverty areas is higher than the average growth rate of loans in the provinces (autonomous regions and municipalities), and the poverty alleviation loans in deep poverty areas are in the provinces (autonomous regions and municipalities). The proportion is higher than the same period of the previous year. Financial support for agriculture continues to increase. The balance of agriculture-related loans of agriculture-related banking financial institutions was higher than that of the previous year, and the loans of farmers and new agricultural business entities maintained a relatively fast growth rate. The level of “agriculture, rural areas and farmers” in capital market services such as bonds and stocks continued to increase. Agricultural insurance coverage continued to increase and coverage improved. Guided by policy support. 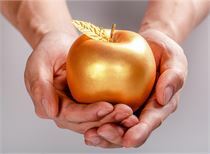 Increase the support of monetary policy, improve differentiated supervision, and play the role of financial funds in guiding and embarrassing finance. Establish and improve the government financing guarantee and risk sharing mechanism, give play to the role of agricultural credit guarantee system and agricultural insurance, make up for the shortcomings of low agricultural risk and high information asymmetry, and promote the return of financial resources to rural areas. (V) Increase the support of commercial banks for rural revitalization. The Agricultural Bank of China should strengthen its strategic orientation towards “agriculture, rural areas and farmers” and serve urban and rural areas, further reform and improve the institutional mechanism of the “three rural” financial sector, ensure that the growth rate of county loans continues to be higher than the average level of the Bank, and actively implement Internet financial services. The “Agriculture” project focuses on improving the coverage of rural financial services and credit penetration. China Postal Savings Bank should give full play to its network advantages, capital advantages and rich experience in microfinance franchise, adhere to the strategic positioning of retail commercial banks, and focus on microfinance and retail financial services, and highlight the farmers in the rural revitalization field. Financial services in the field of small and micro-inclusive areas such as new-type business entities, small and medium-sized enterprises, and poverty-stricken households, and improve the operation mechanism of the “three rural” financial sector, increase credit supply to county areas, and gradually increase the ratio of deposits and loans in the county. And remain within reasonable limits. Joint-stock commercial banks and city commercial banks should combine their own functional positioning and business advantages, highlight key support areas, and focus on improving the coverage of basic financial services, promoting urban and rural financial services and other important aspects of rural revitalization, and actively innovating financial products and service methods to create integration. Characteristic rural revitalization of financial service system. (8) Doing a good job in national food security financial services around the use of grain in the land and grain storage. Focusing on the grain production functional zones, important agricultural product production protection zones and characteristic agricultural products superior zones determined by the state, innovative investment and financing mode, increasing credit support for high-standard farmland construction and rural land remediation, and promoting the effective docking of agricultural science and technology and capital Continue to increase investment in modern seed industry upgrading, agricultural science and technology innovation and transformation of results. Combined with the market-oriented reform of the grain storage and storage system and the price formation mechanism, the Agricultural Development Bank is supported to do a good job in policy-based grain storage and storage, and to explore an effective model for supporting multi-market entities for market-oriented grain acquisition. (12) Actively broaden the scope of agricultural and rural pledges. Promote the credit business of factory buildings and large-scale agricultural machinery mortgages, housing and living livestock and poultry mortgages, movable property pledges, warehouse receipts and accounts receivable pledge, agricultural policy financing, etc., and promote the formation of comprehensive and diversified rural assets pledge according to law. Financing model. Actively and steadily carry out forest tenure mortgage loans and explore innovative mortgage models. Encourage enterprises and farmers to solve the problem of insufficient funds for the purchase of large-scale machinery, production equipment and processing equipment for agriculture through financial leasing business. (21) Accelerate the construction of the rural credit system. In accordance with the overall thinking of the government, the People's Bank of China, the participation of all parties, and the service of the society, we will comprehensively carry out credit townships, credit villages, and credit user creation activities, and give play to the credit information service rural economic entity financing function. Strengthen inter-departmental information interconnection, promote joint trustworthiness and untrustworthy joint disciplinary mechanisms, continuously improve the credit awareness of various economic entities in rural areas, and optimize the rural financial ecological environment. We will steadily promote the construction of electronic credit files for economic entities such as farmers, family farms, farmer cooperatives, agricultural social service organizations, and rural enterprises, integrate social credit information through multiple channels, improve credit evaluation and sharing mechanisms, and promote information, credit, and credit linkages in rural areas. (22) Strengthen the protection of financial consumption rights in rural areas. 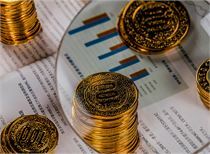 In-depth financial activities such as “Jinhui Project” and “Financial Knowledge Popularization Month” will be carried out to achieve full coverage of financial publicity and education in rural areas. 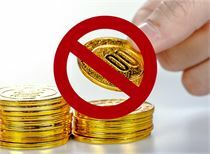 Increase the propaganda of financial consumer rights protection, enhance the risk awareness of rural financial consumers and the ability to identify illegal and illegal financial activities. Standardize the business behavior of financial institutions, strengthen information disclosure and risk warnings, smooth the channels for handling consumer complaints, and build a good financial ecological environment in rural areas. Financial services rural revitalization Five ministries and commissions joined hands to enlarge the move: support such companies listed and listed financing! Weekend Highlights Review: The Securities and Futures Commission issued two IPO approvals for the company. Heavy! Shanghai has a big news The "first stock" of the science and technology board was born next week? opportunity! The next demon stock is about to appear! [US stocks] Boeing's biggest crisis since "911"